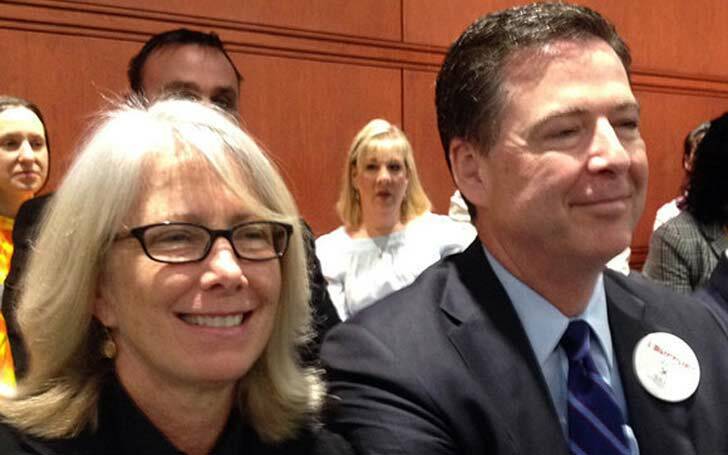 The name James Comey is very familiar with fans of the Clintons’, Obamas’ and Trumps’ but only a few people can give detailed information about his wife; Patrice Failor who has been his support system. She has not only played the role of a college sweetheart, friend, and wife but is also the mother of his five children. Patrice was appointed by the American court as a special advocate in Juvenile court and she has handled the position with credibility and integrity. Unlike her husband, who became infamous after he was fired by Donald Trump as an FBI Director on May 9, 2017, she became famous for just being his wife. Prior to that, the duo lived a very quiet life but like they say life is full of surprises and no one knows what it offers until it is delivered. Here is a full detailed information on this amazing woman. Patrice Failor is an American who was born on November 10 sometime in the 1960’s. She is of a white ethnicity- North American. Patrice has lived a very private life and has consciously left out her details from the spotlight, however, we know she spent her childhood in Virginia and Iowa. She started her educational career at the William and Mary College and also worked in the students’ affairs office. She equally has a master’s degree in counseling. Her career came to limelight after she was appointed as a special advocate in the Juvenile court. Patrice has been up and doing in her role as she has pushed for the payment of volunteers who counsel children through the Juvenile Justice system. She has also been a volunteer for Bridgeport superior court. Patrice Failor is the beloved wife to James Comey who served the United States of America as a Federal Bureau investigation director for four years before the president of the United States of America; Donald Trump laid him off on May 9, 2017. They have been married for over 30 years and counting and their union seem to be renewed as the day unfolds. The love goddess hit them while they were at college and ever since they were stricken by love, their union has been jolly. Patrice said that James caught her attention first at a cocktail party while the former FBI director has confessed he had an eye for her while at college after she nominated him as president for the dorm council. They were both shy and didn’t express how they felt towards each other until a mutual friend introduced them and finally they thought it wise to ignite the love spark on a date. They kept glowing in love and eventually took their vows sometime in 1987 in the presence of their friends and family. Patrice and James had it bountiful when it came to children as their union produced six – two boys and four girls named Maurene, Brien, Abby, Collin, Claire, and Kate (in the order of their birth). Unfortunately, the family lost Collin to the hands of death when he was just an infant. The couple are then left with five children. Their daughter Maureen had her college days at Williams and Mary college and she also went to Harvard Law School, she currently practices as an attorney. Brien Comey was blessed with his father’s height and he is skilled at the game of basketball for which he plays for Kenyon College Ohio. Though Brien seems like a sportsman he has emphasized his interest in being a law enforcement officer. In view of this, records have it that he interned at the Arlington County Virginia Police Department. On Claire’s part, she has been doing well in school and was elected the editor-in-chief of University of Richmond’s student newspaper and is also on the advisory committee for sexual assault and response prevention on campus. Collin’s death took a turn on the family and he is forever remembered in their hearts thus Patrice Comey wrote an op-ed Column for the Baltimore Sun which was focused on the cause of the infant’s death and ways to prevent it. The family has been together for a long time and are doing exceptionally well. Patrice Failor’s height has not been revealed, however, you could take a sure bet that she is quite a tall woman and is perfectly beautiful when standing close to her 6 Feet 8 inches husband. She has a set of hazel eyes and brown long curly hairs. Patrice Comey attended William and Mary law school, she graduated in 1982 and also worked in Student affairs. Records have it that the couple is estimated to be worth $11 million and they live in a $3 million home somewhere in Connecticut. Patrice Failor is a huge fan to Hillary Clinton and was totally devasted when she lost the election. Her family is also anti-Trump. She once wrote on Facebook in 2014 identifying herself as a foster parent, a served guardian and a humanitarian. She currently focuses on juvenile justice issues.